Use as a disinfectant or preventative in a diffuser or a bath (we also offer this blend in a ready to use massage oil for massage and bath). 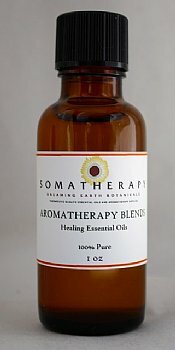 Add to our massage base for massage (use 2 drops per teaspoon / 12 drops per ounce) or use in a diffuser. Review: I use this whenever I feel congested....just put a few drops in my diffuser (esp. at night) and it really helps me feel better, opens things up. Wonderful! Review: I've been using this blend for over a year and absolutely love it. Truly believe it's one of the most effective blends I've ever purchased. Review: This is hands down my new favorite oil. Not only did we have a successfully healthy winter season but I absolutely love the aroma of this!